To continue in this tutorial you will need to create the following files, copy and paste the codes in the respective files and save them in the same directory. The details and purpose of the respective files shall be discussed in later part of the tutorial. Create a database to store the details of the user. I will name mine "dbreg". You can name anything you like. After creating the database, add table to it. You can use the codes below to add table named `tbl_users`. This file contains all the Database configuration that are needed to create a successful connection with the MySQL database. This file contains the code which takes the request sent from AJAX (POST method) to save the data in the database. First, it will read the $_POST variable for available data and they will be stored in local variables. Then, using PDO statements the data is stored in the database. 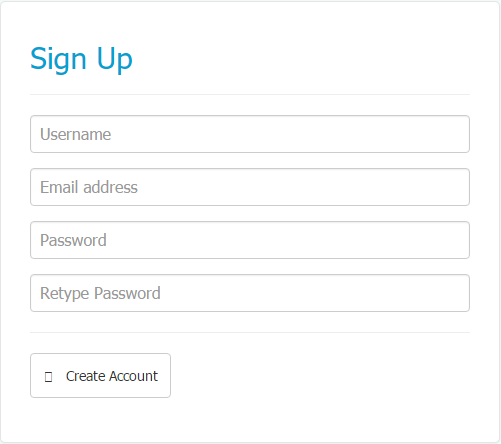 The CSS codes are used to add some design to the registration form. This does't work as intended. The submit button isnt linked to anything. Its also prone to Sql injections. Why the normal submit won't work once the validation passes.. I do not want to make a ajax submission, it does not goes with my script.